A new three-dimensional imaging technique has shown the spiraling movements that human sperm accomplishes while swimming. Previously, these movements had only been inferred from two-dimensional data. The scientists published their findings in the journal Proceedings of the National Academy of Sciences. The high-resolution recordings in three dimensions tracked more than 1,500 cells over several hours. The heads of human sperm are only 3 to 4 micrometers long, and can only be seen under high magnification, but zoom around at up to 100 micrometers per second, ducking in and out of focus, or darting out of range. Aydogan Ozcan, a bioengineer at the University of California, Los Angeles, led the study and he states that this was the first observation of something entirely hidden. The team used a light-sensing chip that measures about 4 to 6 mm, placed underneath the samples. 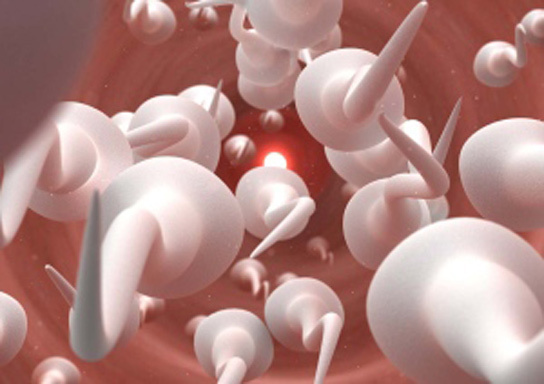 A red LED shines down on the sperm and forms a hazy shadow that the chip is able to follow. 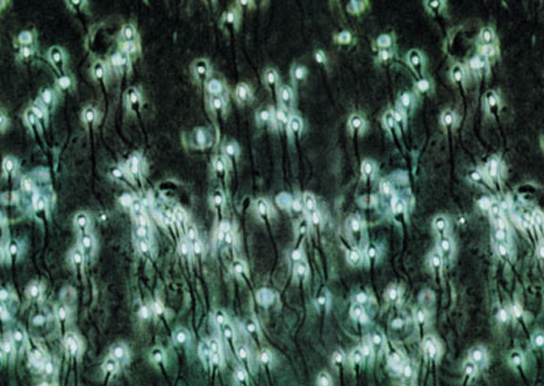 A second blue LED illuminates the sperm from a different angle, casting shadows that change with each sperm. Chip-based imaging systems could replace costly computer systems that are used to analyze microscopic images. The technique only captured the sperm heads, not the complex tail movements, which are crucial to understanding the sperm function and dysfunction. 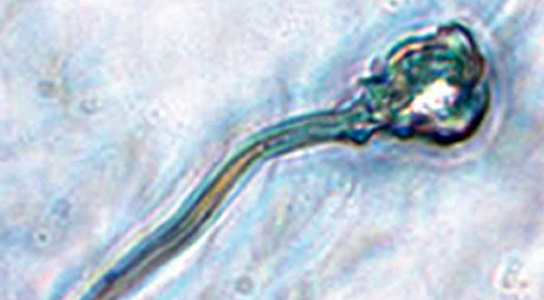 Be the first to comment on "Lens-Free System Shows Spiraling Swimming Pattern of Human Sperm"